Is Taapsee in or not in Idhu Namma Aalu? Idhu Namma Aalu being produced by Simbu’s home banner is directed by Pandiraj. 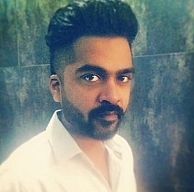 The film is much expected as it features Simbu and Nayanthara in lead roles with Soori, Jayaprakash and others as supporting cast. Recently there were talks going around that Taapsee has been roped in as a second female lead in the film. But it has come to our notice that the Aadukalam heroine is just in talks for the second heroine role but other options are also being considered. On the progress of the film, 75% of the shooting is over and two songs and ten day talkie portions are left behind to be completed. Kamal Haasan vs Vijay after 9 long years ? What made Neetu Chandra happy? A poster with a difference for YNK ! Simbu And Nayanthara Are On Track With Idhu Namma Aalu Plans! People looking for online information on Idhu Namma Aalu, Nayanthara, Pandiraj, Simbu, Taapsee will find this news story useful.